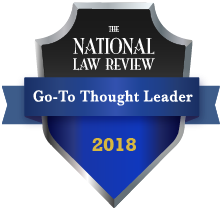 Susan Holmes, Manager LexSpeak and RankingsForLawyers, recently authored an article for the National Law Review about identifying and applying for attorney speaking engagements. The article is titled, "How to Land a Speaking Engagement." For more information about Jaffe's speaker services, click here. Terry M. Isner, CEO/Owner, Marketing & Branding, will be speaking on a panel at the Marketing Partner Forum on Jan. 26 at 10:45 a.m. PST. Titled "The Culture Conundrum: Culture as Strategy in Legal Business Development," the session will discuss the importance of law firm culture to a firm's business development and the role it plays in client engagements. Vivian Hood, CEO/Owner, Public Relations, recently published an article in ALM's Marketing the Law Firm publication. The piece covers the many missteps committed by Equifax during the course of its infamous data breach incident and provides tips for law firms about how they can better handle a crisis of such severity. The article is titled "In an Era of Crises and Controversies, How Ready Is Your Law Firm?"